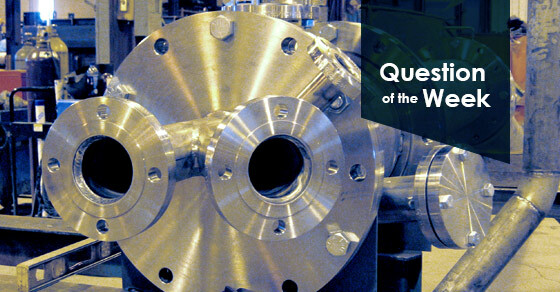 Question of the Week: How Can a Pipe Reactor Benefit your Process? A pipe reactor is an acid-base reaction vessel that can be incorporated into an agglomeration drum for the production of various, inorganic fertilizers. While the pipe reactor is not required in a system, it can add immense value to a process in terms of energy savings. The pipe reactor can reduce plant energy costs by using the reaction heat as the primary method of drying, which in turn, reduces the burden on the dryer. The pipe reactor receives phosphoric or sulfuric acid into one side of the pipe, while gaseous or liquid ammonia is dispersed into the reaction chamber. Ammoniated phosphate or ammonium sulfate, a hot “melt” of superheated product, results. The heat of the reaction is captured and used to flash off the initial moisture, reducing the amount of energy needed to dry the final product. The pipe reactor can also be beneficial for organic-based fertilizer production. Instead of an agglomeration drum, it can be integrated into a pug mill or granulation drum. In this application, the pipe reactor offers customizable nutrient fortification in addition to odor removal. To learn more about pipe reactors, contact a FEECO expert today!